Intel finally appears to have a handle on the delays to its Broadwell microarchitecture, announcing the official launch of its first chips: the mobile-oriented Core M family. A process-shrunk Haswell, Broadwell is built on a 14nm node. That's smaller than the industry average, and something that has been causing Intel no end of problems: Intel unveiled the design in 2013, but was forced to push back production to 2014 due to poor yields from its initial run. In November that year, Intel admitted that 14nm was harder than expected, with a revised launch schedule of Q4 2014 being further impacted by claims of excess Haswell inventory in the channel. 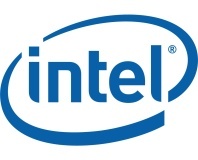 Now, Intel believes it has resolved its issues and is ready to roll Broadwell out - for laptops, at least. The Broadwell-based Core M family is comprised of a pair of low-power models dubbed 5Y10 and 5Y10a, and a more powerful version called 5Y70. All these parts are, however, designed purely for original equipment manufacturers; those looking for drop-in LGA-packaged Broadwell chips will be waiting until some time in 2015. The move to a small process size means that the Core M chips are, Intel has claimed, roughly 50 per cent smaller and 30 per cent thinner than their Haswell-based predecessors. 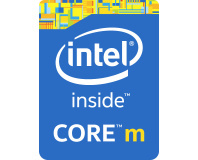 The Core M-5Y10 packs two physical cores with HyperThreading support running at 800MHz with a 2GHz Turbo frequency, 4MB of cache and Intel HD Graphics 5300 running at 100MHz stock with a maximum dynamic frequency of 800MHz. Its features are shared by the M-5Y10a, which is identical in its specifications and shares the same impressive 4.5W thermal design profile (TDP). The Core M-5Y70 is a similar dual-core part but running at 1.1GHz with a 2.6GHz peak Turbo Boost and a higher 850MHz maximum frequency for the Intel HD Graphics 5300 GPU. The top-end M-5Y70 supports all Intel's various features bar Stable Image Platform Programme (SIP), while its lower-end brethren drop vPro and Trusted Execution Technology support. Pricing for the parts has not yet been confirmed, with Intel's hardware partners expected to start rolling out Broadwell-based Ultrabooks and all-in-one designs in the coming months. 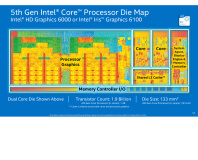 Full specifications are available from Intel's Ark.